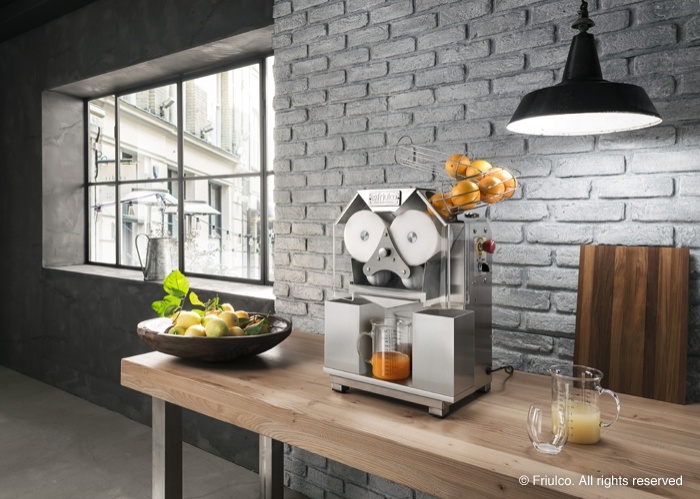 The FriulCo Lemonsprint is an automatic juicer suitable for continuous operation. It squeezes citrus fruit with a cold-press action to preserve nutrients. Capable of pressing up to 800 lemons or 1300 oranges per hour, the Lemonsprint squeezes oranges, limes, grapefruits, small & large lemons. It features heavy duty stainless steel construction with poly waste containers, clear perspex front cover and solid food grade resin juicing parts. Safety features include an interlocked circuit with emergency stop. 750 watt 240 volt 10amp plug. 100% made in Italy for proven quality and reliability.